my Chameleon Touch Controll an place it to the fixed position. …so the Idea was to use BOME to trigger a Cantabile-Controller to this Hotkey but it does’nt work in all ways I tested it. Everytime when Chameleon is the on Top Window nothing works also with the option of ‘inject events’. The only thing I can do is to compile a one line VB script to start this Hotkey…for 1 Hotkey ??? check how it works… have not enough time to learn this also. Not to define AHK - script as Hotkey ! 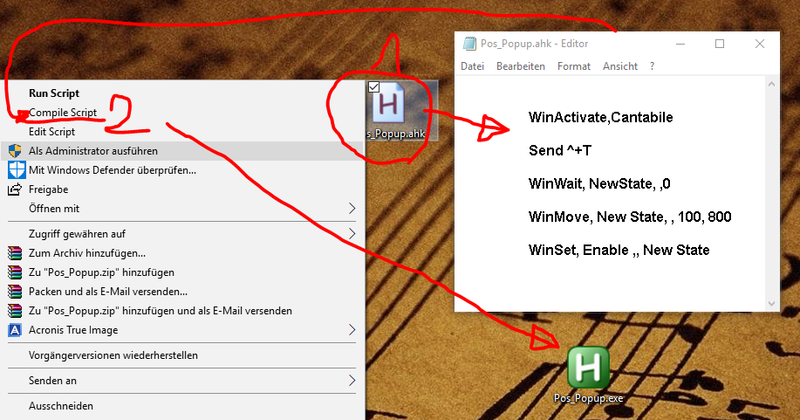 With this easy Trick it is also able to use all Cantabile internal Hotkeys in bindings! Can you make one Video, when you have time, to see how is working this? 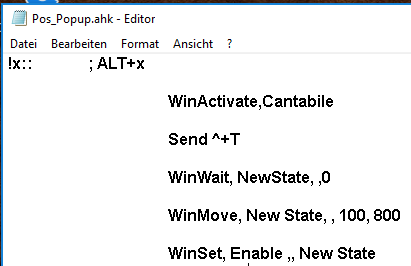 You can even get away without AutoHotkey. You can use VBScript, which is part of Windows. I do this too for saving or for turning pages on my pdf-viewer f.e. @Juergen you are the King of “Corner” cases! In software engineering we call those strange use cases where people imagine a use for a product no one EVER dreamed of when designing it. They are “Corner Cases” because they are stuck over there in the corner when no one goes. I mean this as a compliment because you always figure out how to get “out of the corner”! Because for my conditions it works and saves my time. So I can built a preset for each Songstate. 001.001.003 A 03 Rock…and so on until 10. 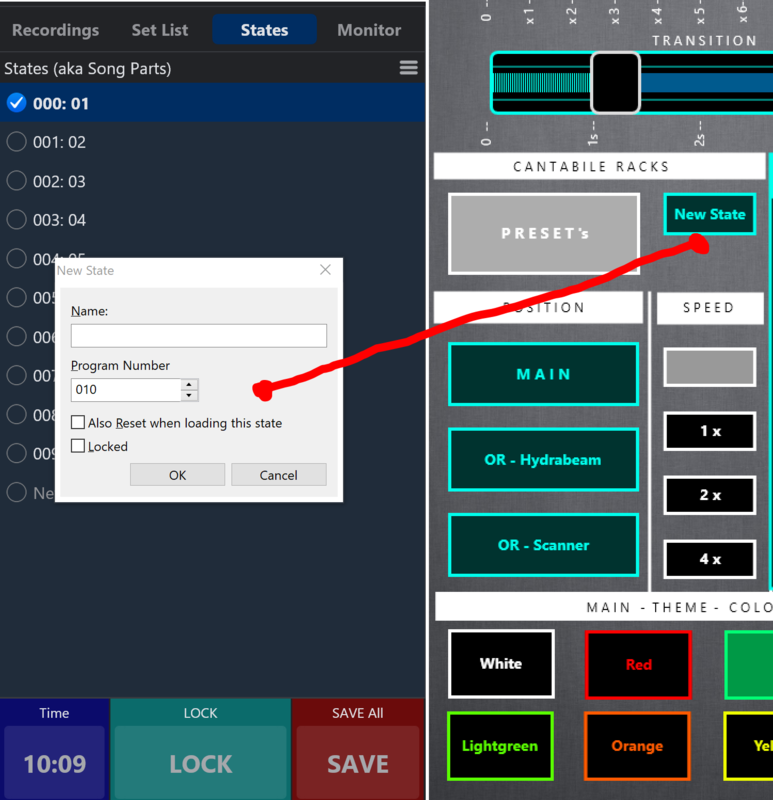 If the first Preset is ready and saved/Locked I push my Button and automaticaly I have the next State in New State Dialog. and now I can directly modify it.